This statistic presents the U.S. e-mail usage development as of November 2017, sorted by age group. 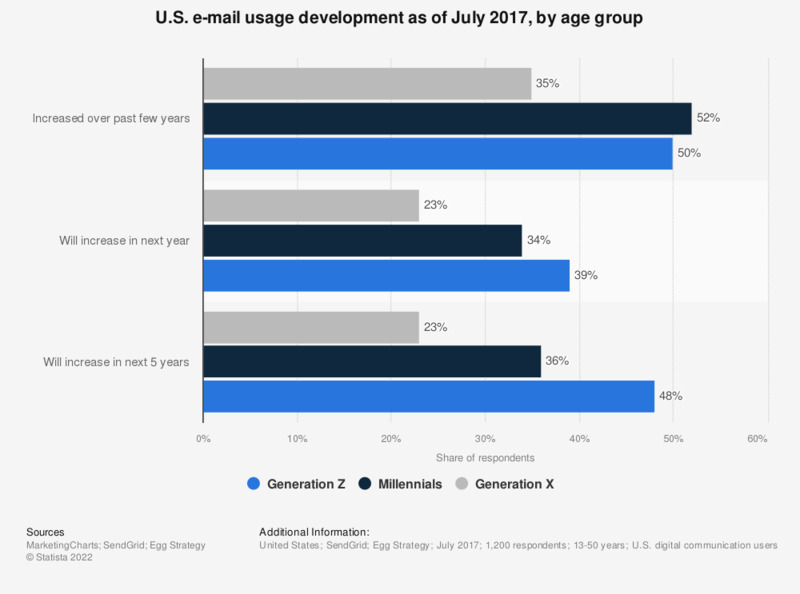 According to the findings, the age group with the largest share of potential increased usage of e-mail in the upcoming year was Generation Z, with a respondent value of 39 percent. Digital communication refers to the use of tools such as e-mail, text message, video chat, business communication apps, and social media.